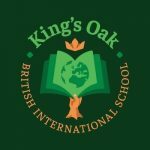 King’s Oak (formerly known as InSPE) started as a small nursery school to teach in English to the international community, however the popularity of the school meant that it had to relocate to larger premises twice and has expanded from a nursery into a nursery and primary school up to age 11. The purpose built campus in Greenlake Residences offers classrooms and outside space to play. 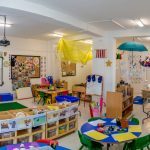 King’s Oak host a popular Toddler Group on Tuesday mornings for parents to attend with their child and take part in fun activities as well as outside play.